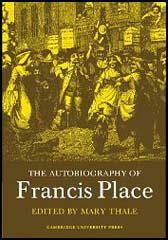 Francis Place was born on 3rd November, 1771, in a debtor's prison in Drury Lane, where his father worked as a overseer. After a short period at school, Francis was apprenticed to a leather-breeches maker. At nineteen he married and settled into a small house near the Strand in London. In 1793 Place became involved in a strike. Place was identified as one of the leaders of the strikers and after the dispute was over he found it impossible to find work as a leather-breeches maker. While out of work Place read about the trial of Thomas Hardy, John Horne Tooke, and John Thelwall, the three leaders of the the London Corresponding Society. Place became convinced that the most important thing that working men needed was the vote and despite the persecution of its membership, he decided to join the group. With their leaders in prison, Place was offered and accepted the post of Chairman. He held the post until 1797 when he resigned in protest against the violent tactics of some members of the organisation. While out of work Place educated himself by reading books on history, law and economics. In 1799 he opened his own tailor's shop at 16 Charing Cross Road. He used part of his premises as a library of radical books. People came to his shop to read and borrow books and pamphlets by people like Tom Paine and Joseph Priestley. Place's library soon became a meeting-place for reformers. In 1807 Francis Place helped Sir Francis Burdett in his campaign to represent the Westminster constituency in the House of Commons. The two men became close friends and over the next couple of years Burdett introduced Place to other radical figures such as Robert Owen, Jeremy Bentham, and Joseph Hume. Place also met Joseph Lancaster who convinced him of the importance of providing children with a non-sectarian education. Place played an active role in promoting Lancastrian schools as he believed it provided the best opportunity of "promoting the happiness of the rising generation". Place also hoped that these schools would help to eradicate what he believed was harming the progress of the working class: "drunkeness, lax morals, bad manners and over population". Although Place fathered fifteen children, he was deeply concerned about the growth in the British population. In 1822 he wrote and published The Principles of Population. People were shocked to read in the book that Place advocated the use of contraceptives. Place was labelled a "bold bad man" and even some Radicals shunned him after the publication of this book. Place also give help to Radical politicians in the House of Commons. He collected data on issues such as the Combination Acts and parliamentary reform and then passed it on to Sir Francis Burdett, John Hobhouse and Joseph Hume so they could promote the cause in Parliament. Between 1822 and 1824 Place collected eight volumes of statistics that he believed indicated that the Combination Acts should be repealed. Place argued that the repeal of the Combination Acts would lead to the disappearance of trade unions. Place achieved victory in 1824 but he was shocked when he discovered that one of the consequences of this was a rapid growth in the trade union movement. After the repeal of the Combination Acts in 1824 Place turned his attention to parliamentary reform. He played a prominent in the agitation that resulted in the 1832 Reform Act. Upset by the limited scope of the reform he joined with John Cleave, Henry Hetherington, and William Lovett to form the London Working Men's Association in 1836. 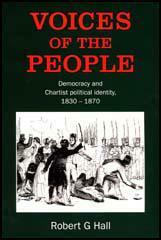 Two years later he helped draft the People's Charter that instigated the Chartist movement. Place was a Moral Force Chartist and argued strongly against the use of violence to obtain the vote. 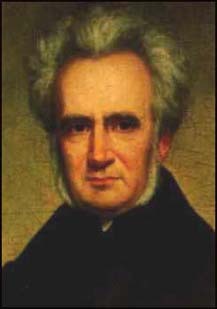 When Feargus O'Connor replaced William Lovett as the unofficial leader of the movement, Place ceased to be involved in Chartist activities. After 1840 Francis Place concentrated his energies on organizing the campaign against the Corn Laws. He also spent a considerable amount of time writing his autobiography and a history of the 1832 Reform Act. Francis Place died at the Hammersmith home of his two unmarried daughters on 1st January, 1854.